Fake blood costs a small fortune for the good stuff when you buy it in the squeezable tubes at the store. While you can buy it for Halloween with much cheaper price, it tends to be thin and watery and it won’t last the night. If you’re looking for some good one, the best choice is to make your own! Making this kind of blood is actually very easy, takes very little time, and you probably have the ingredients you need right in your kitchen. Just in case you don’t have the right ingredients for one Halloween fake blood recipe though, I’ve decided to offer a choice of recipes for you. I’m sure you’re bound to have the ingredients for at least one of these recipes to make your own! Next, add about 15 drops of red food coloring to the mixture and stir it in until it’s blended. This is the red base for the fake blood. We all know blood really isn’t bright red though, so that’s where the blue food coloring comes in. Start by adding one drop of blue food coloring and stir. Observe the color, and if it doesn’t look like blood color, then add a second drop. Depending on how much water you used, it could take anywhere from one to five drops of blue food coloring to achieve the desired level. If the mixture becomes too purplish, you can always add a drop or two more of the red to bring the color back to blood colored. The mixture will be thin at first, but once the corn syrup dries, with the help of the cornstarch, it will become stiffer, and will stick to just about anything. The good news is, it’s mostly sugar and water, so it’s very easy to wash the ‘blood’ off when Halloween is over. 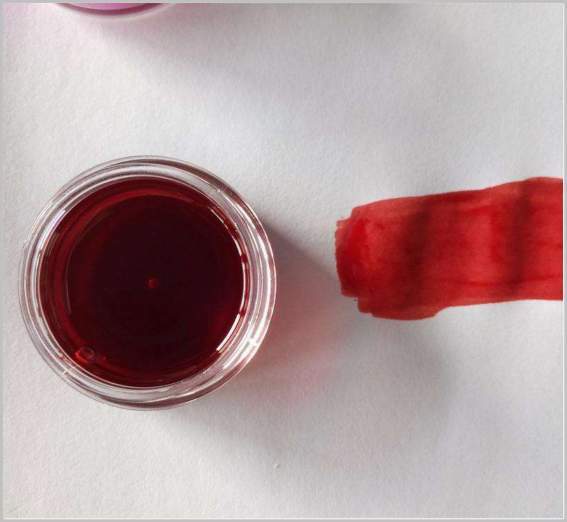 Variation: one drop of green food coloring instead of blue makes a really rich blood color too. This chunky Halloween recipe is really just a variation on the first recipe, but with a twist, or rather, a chunk. I’m sure you’ve seen in the movies how sometimes when someone is shot or torn up, the blood has chunks of tissue in it. Nasty, I know, but if you’re going for realism, this variation on this recipe is not only realistic looking, it’s edible! Yes, if you wanted to create a dish to eat with this “blood”, you could! After you make it above, you can then take dark/black cherries, pitted, or you can use black cherry pie filling, and using a sharp knife (carefully so you don’t get any real blood mixed in with your fake blood – kids, ask your parents before using sharp knives!) you can chop the cherries up into pieces. Next, pop them into a bowl and then into the microwave. Heating them for about two minutes on high will bring them to a boiling temperature, so please don’t touch them until they cool. Heating them simply makes them more ‘jelly’ like and makes for a more realistic fake ’tissue’. All you have to do next is to add the desired amount of ’tissue’ to the mixture you created with the other recipe, and presto! You have fake chunky tissue blood. Personally, I don’t have cornstarch in my house right now, so the first recipe wouldn’t work for me. This second one is the same as the one above, except you won’t use the water or the cornstarch. Instead, you’ll simple pour the desired amount of white corn syrup into the mixing container, add the red food coloring (about 10-15 drops per half a cup), and then add either the green or the blue food coloring to achieve the desired color. This mixture will be thicker upon mixing it, but it will not stiffen up as quickly. Of course, you can use the variation on the second recipe for this one too. If you find the mixture in recipe #3 is too thin, you can always mix a tablespoon of flour with the water in recipe #1, add the corn syrup and bring to a boil on the stove until it boils down to the desire consistency. Then let it cool for a time, add the food coloring, and then let it sit until it’s cool enough to apply to skin or clothing. Make your own fake blood by using any variation on these recipes above, but trying out other ingredients in your kitchen that might work. If you have red or clear gelatin (Jell-o), you can always make it for your blood. It only sets or ‘gels’ when you refrigerate it, and you can add cottage cheese or the cherries from above to make it chunky. If you don’t have food coloring in the house, you can try using black-cherry powdered drink mix (Kool-aid, etc) in its place to try to get the desired color. Cranberry sauce and boiled cranberries can also make a great blood color, as can grape juice and grenadine. Be creative and mix things around a bit and you can probably find the right ingredients and colors to make your realistic Halloween fake blood with things you find in your own kitchen, save a bundle and have fun too! And anyone who tricks their spouse by using it and pretending to cut off an appendage might want to sleep with one eye open at night.